Wow, Sydney! What happened to our winter-like weather that we were experiencing through the majority of spring? It’s that time of year again when I start wondering how on Earth it could be Christmas – it came too fast and besides, I’m in the Southern Hemisphere now and Christmas during summer just does not compute. I’m seeing all these warm winter recipes around the food blogosphere and I’m so jealous because I can’t make peppermint hot chocolate when it’s 90F outside! It is, indeed, scorching out there today so I’m going to give you a quick and easy refreshing pick-me-up smoothie to cool you down (if you happen to be in the Southern Hemisphere, as well). 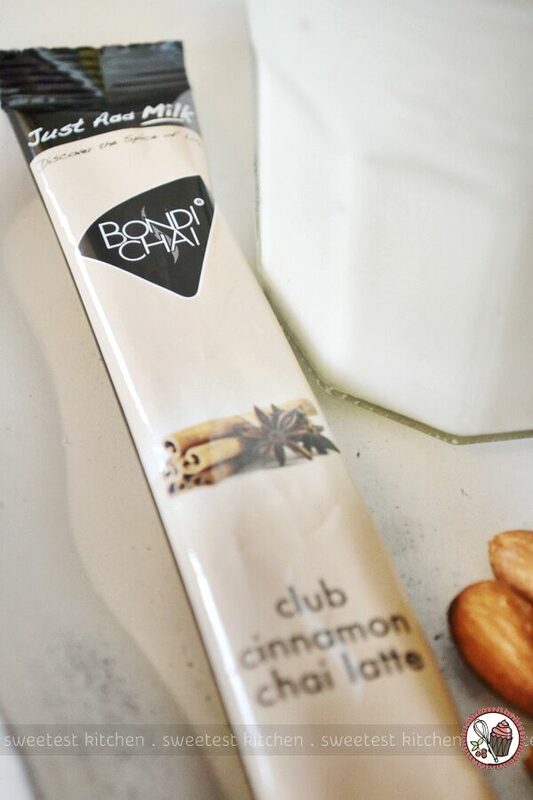 You need just four simple ingredients – almond milk (or milk of your choice), frozen banana, vanilla yoghurt (or Greek yoghurt) and a sachet of Bondi Chai powdered chai tea drink mix (or similar). If your banana isn’t super sweet, or if you use Greek yoghurt, feel free to use some honey, maple syrup, any sweetener of choice, to sweeten things up. There will be sweetener in the drink mix, though, so taste the smoothie before you serve it and adjust as necessary for your tastes. This is a cool, light and lovely smoothie with a slight spiciness from the chai. If it’s not chai-y enough for you, use two sachets of the powdered chai mix (the recipe below yields two servings, so it’d be fine to add two). If you don’t have any frozen bananas on hand, slice a fresh, ripe banana. Place the slices on a baking paper-lined plate and stick it in the freezer for about 1-2 hours. 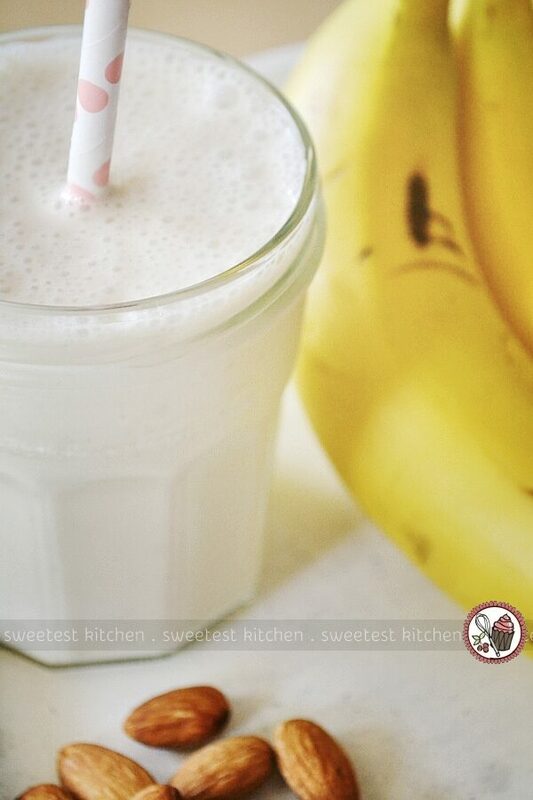 The frozen banana slices will give you a thicker smoothie. I’ve actually been on a smoothie kick lately. My current favorite one is this peanut butter and jelly one from Sally’s Baking Addiction, made with raspberries and blueberries and a bit of spinach. What’s your favorite smoothie recipe? And what do you eat or drink to cool down on a hot day? A light and cool smoothie recipe with just four simple ingredients. 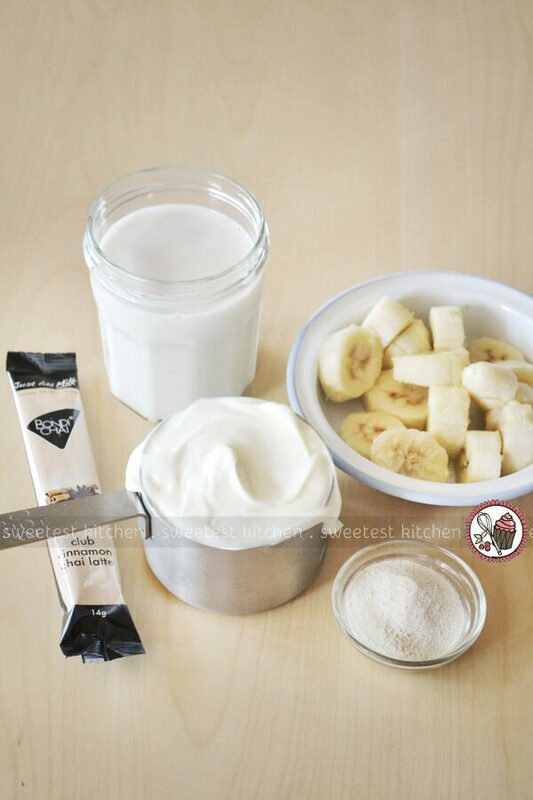 Place all ingredients in a blender, in the order listed, and blend until completely smooth. Serve immediately. Yum, yum, yum, yum, yuuuuuuuuuuuuuuuuuuuuuuuuuuuuuuuuuuummmmmmmm! 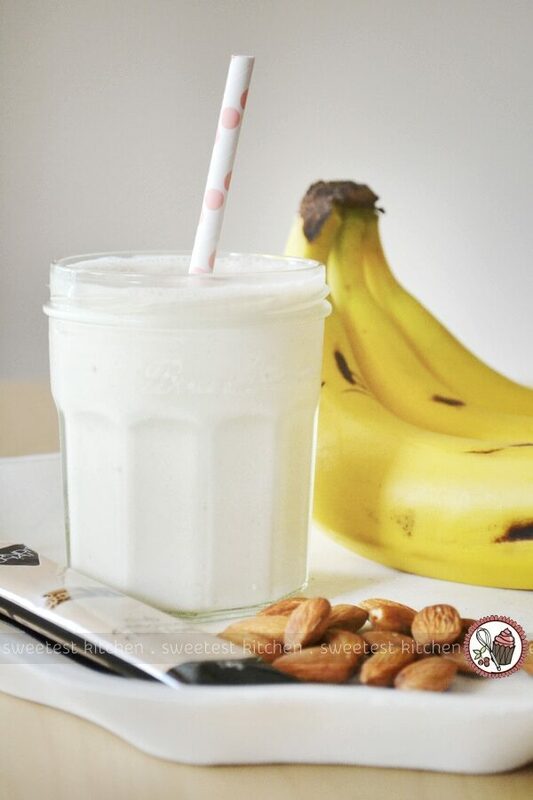 You just combined all of my favourite foods in one – bananas, yogurt, almond milk AND Bondi Chai! 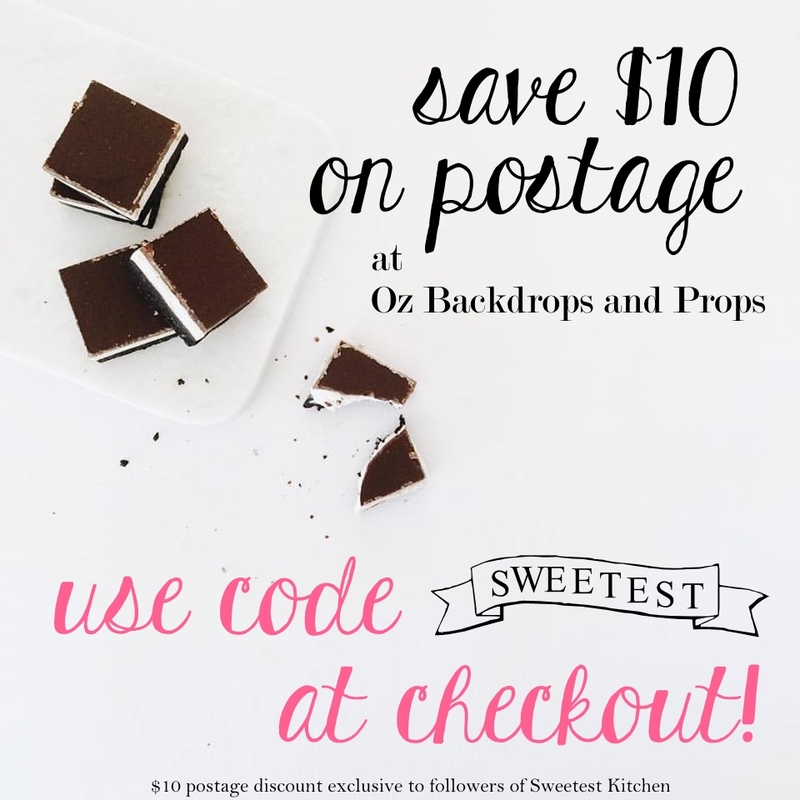 I need to do this ASAP – and the frozen banana would make it so refreshing too! I just found your blog while looking for Zoku recipes on Pinterest. Its interesting to see your US expat take on our Aussie ways. My husband in from Toronto and took quite a while to adjust to our spelling, summer Christmas, no pumpkin pies, no thanksgiving etc. He has happily lived here for 25 yrs and loves that there is no snow in Sydney, and no matter how cold it is and how much we complain, it will never ever be -37C!! Have a lovely green and sunny Christmas!